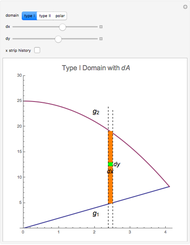 Integration over the region in the plane between the graphs of two continuous functions is performed by setting up type I or type II domains in Cartesian coordinates or as a polar domain in polar coordinates. Double integrals require a student to visualize the differential element of area covering the desired domain of integration. 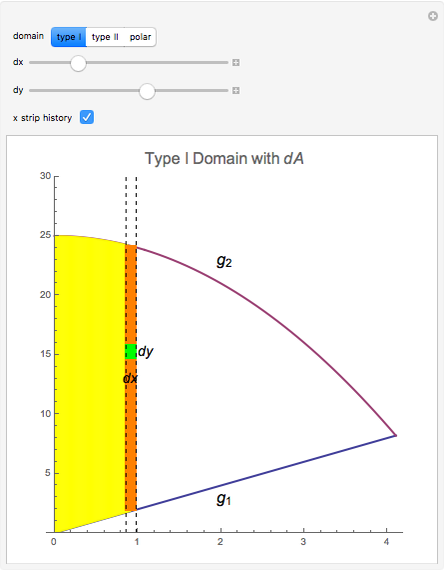 Using an integrand function of value 1 everywhere generates a double integral whose value is the area of the domain. A plane region is type I if it lies between the graphs of two continuous functions and of on [ , ], that is, . Vertical strips are integrated as shown by "x strip history" control. 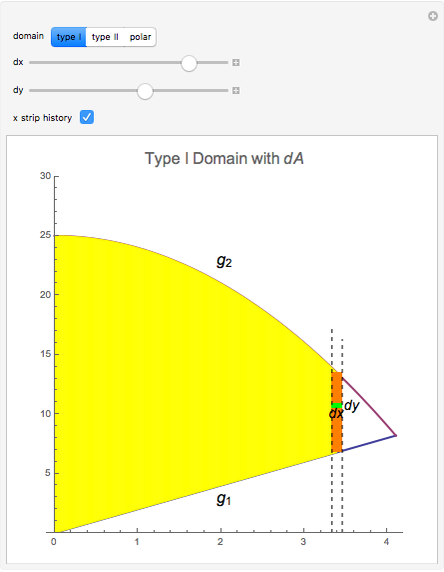 A plane region is type II if it lies between the graphs of two continuous functions and of on [ , ], that is, . Horizontal strips are integrated as shown by "y strip history" control. 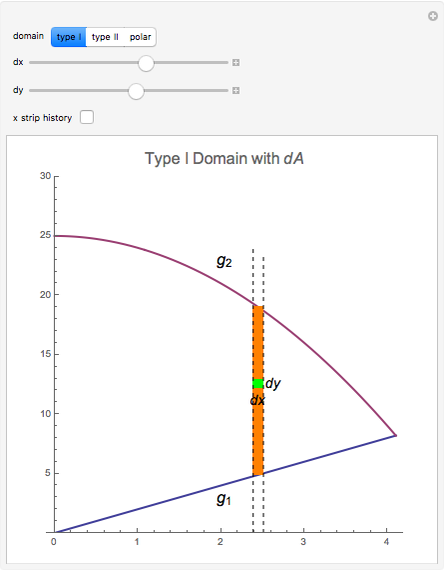 When the domain consists of two type II domains as shown in the plot, a transition occurs from one domain to the other where the integral over the first domain is added to the integral over the second domain. , where , , and are continuous on [ , ]. 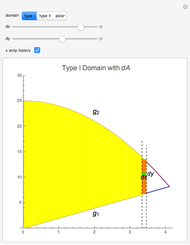 For a polar wedge the domain is defined by , where and are continuous on . 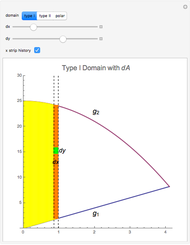 Radial strips are integrated as shown by "wedge history" control. Harry Bishop "Differential Element dA"